Rihanna has won her legal battle against Topshop for selling a T-shirt with her face printed on it and without her consent, and after the company refused to stop selling the tee. The pop star decided to sue the British fashion chain (Arcadia Group Brands Ltd) for $5 million because it damaged her ‘image’. The T-shirt in question featured a photothat was taken ‘without her permission’ by a freelance photographer during a video shoot in 2011 in Northern Ireland. The t-shirt was originally dubbed ‘Rihanna Tank’, and then as the controversy over the unauthorized use of her image continued - and before the lawsuit - Topshop removed Rihanna's name and then rebranded it ‘Headscarf Girl Tank’ and then ‘Icon Tank’. Despite a creative copyright loophole that exists in the U.K., High Court Justice Colin Birss ruled in favour of the singer. 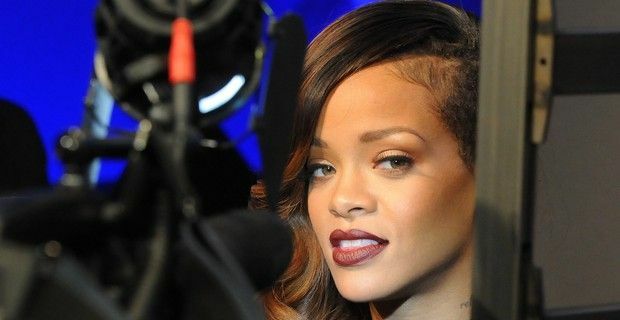 In his judgement Birss said the sales represented a loss of Rihanna's reputation in the ‘fashion sphere’– she has her own fashion line at River Island. "The mere sale by a trader of a T-shirt bearing an image of a famous person is not an act of passing off. However, I find that Topshop's sale of this T-shirt was an act of ‘passing off," said Justice Birss, adding that a “substantial number” of buyers were likely to have been deceived into buying the T-shirt because of a “false belief” it had been authorized by the singer. Damages during the ruling were not determined. Topshop said it was "surprised and disappointed” by the ruling and will consider all options available, including seeking an appeal. "We robustly dispute the Judge's conclusion," it said, adding: "There was no evidence of consumer confusion to support the Judge's conclusion." "There was no intention to create an appearance of an endorsement or promotion. We feel that the fact that Rihanna has shopped, worn and had a relationship with Topshop for several years appears to have been detrimental to our case."